Pachymetry is the measurement of the thickness of your cornea- the clear window at the front of your eye. Eye pressure measurement is influenced by the thickness of your corneas. Thick corneas can mean your exact eye pressure is less than we have measured and thin corneas lead to an under-reading. Using the Pachymeter, we apply an adjustment to your intraocular pressure measurement to more accurately assess and monitor the pressure in your eye. This test often prevents unnecessary hospital referrals, as well as identifying patients with apparently low pressures who may be at risk of glaucoma. 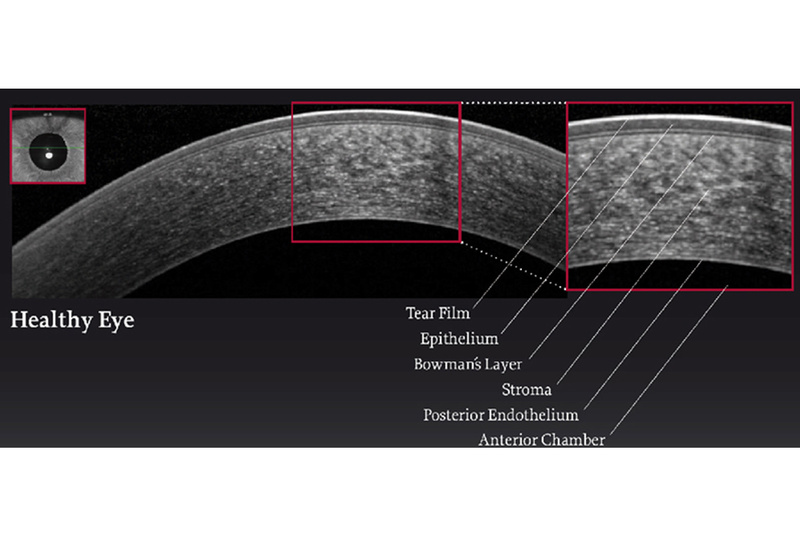 The 4D OCT has got a special software to accurately measure the corneal thickness.